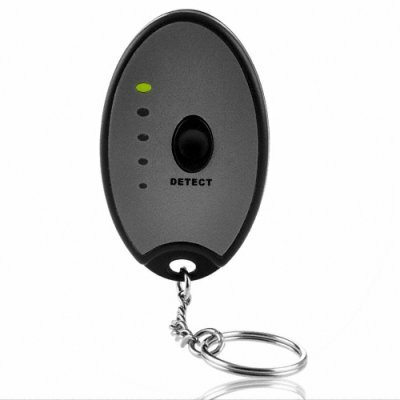 Successfully Added Wifi Detector Keychain - One Touch Wifi Hot Spot Finder to your Shopping Cart. Wholesale priced Wifi hot spot detector with an easy to use one touch test that will tell the wireless signal's strength. Very small, and attached to a keychain for a cool and handy key chain accessory, this Wifi hot spot finder has 4 green LED lights that will easily tell the strength of the signal up to 25 meters away; the closer you are, the stronger the signal. A great gadget any modern internet user should not be without. We are offering this great gadget at a quantity of at least 5 pieces in order to give you the absolute best re-sale profit margin from our low wholesale price and even better shipping rates.